Bernie released a single entitled “Dream Away” (WEA) in 1981. It still receives strong AOR airplay to this day. It was produced by budding producer Daniel Lanois, and features Bernie on guitar, vocals, and electric piano, world-renowned producer / songwriter Jim Vallance on drums, and Red Rider / Tom Cochrane bassist Jeff Jones. Bernie was nominated for Most Promising Male Vocalist at the 1984 Juno Awards for his album entitled “Barging In” (Sony). That album is currently released in Europe by Long Island Records. He has released records on Warner Bros., Sony, BMG, and various independent labels. His first original recording was “Catwalk”, recorded by Rain in 1972 and released on Axe Records. Bernie has also been a sideman on over 100 recordings. He’s worked with Kim Mitchell, Long John Baldry, David Clayton-Thomas, The Shakers, Walter Zwol, Cassandra Vasik, The Irish Rovers, Doug Riley, Frank Biner of Tower of Power, John Sebastian, David Cassidy, Joel Feeney, and Sass Jordan, among many others. Bernie and world-renowned producer Jack Richardson spent many years working together. “Jack was my surrogate father”, says Bernie. Bernie composed and performed on many North American and Worldwide jingles i.e. Coke, Pepsi, GM, Ford, and Nissan, and he played guitar on Jim Henson’s popular Fraggle Rock TV series (1983-87), Smith & Smith (1979-85), Danger Bay (1985 – 1989) on CBC, and Party With The Rovers (1983-86) on Global Television. He won the Canadian Songwriting Contest in 1986 (Best R&B Song category). His single “Dream Away” (produced by Daniel Lanois) was one of the most-played songs of 1981. Bernie is the guitarist on the world-syndicated Doodlebops show, too. - Bernie LaBarge (b Bernard Leo Labarge). 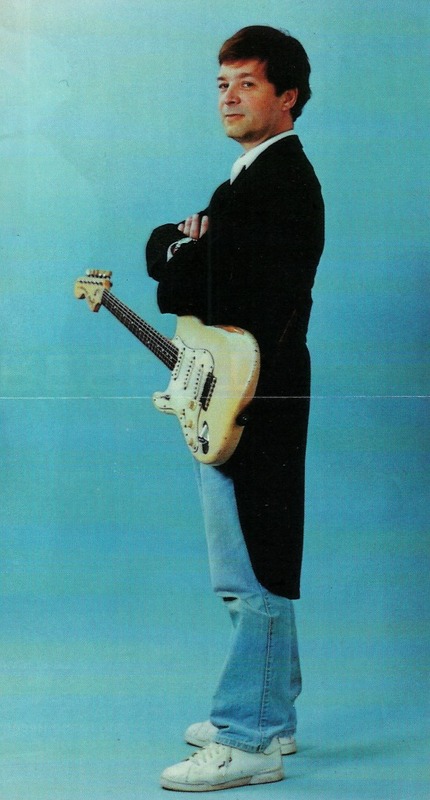 Guitarist, songwriter, singer, b Ottawa 11 March 1953. LaBarge attended school in Burlington, Ont; he began to teach himself guitar at age 11, and by 1967 was playing professionally. In his early career, he led and performed with a number of popular bands in Ontario, including Rain, Stem and Stingaree. A stylistically flexible guitarist, LaBarge is proficient in rock, R&B, blues and country styles. One of Canada's top studio guitarists, he has been a sideman on over 50 recordings, eg, for Kim Mitchell. He toured extensively throughout North America and New Zealand with The Irish Rovers through the 1980s and into the 1990s, and has also toured or recorded with Mitchell, Long John Baldry, Hagood Hardy, Cassandra Vasik, and other headliners. For television, LaBarge has performed on Fraggle Rock (1983-7), Care Bears, Twilight Zone, and Party with the Rovers (1983-6); on radio, he has been heard often on Danny Finkelman's 45s. 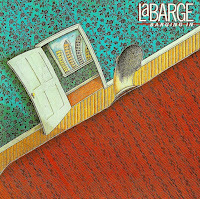 LaBarge's solo work includes his 1984 album Barging In (Sony), which was nominated for a Juno for most promising male vocalist. The album was later released in Europe by Long Island Records. His first solo release for WEA was "Dream Away," produced by Daniel Lanois, it was one of the most-played songs of 1981. He has also enjoyed success as a singer of commercial jingles for Coke, Pepsi, General Motors, Ford and Nissan; he sang a Coke jingle on the original Batman video. Additionally a songwriter and composer, LaBarge's songs have been recorded by Long John Baldry ("Work for Me"), The Rovers ("Merry Bloody XMas") and Lisa Price ("Can't Hold On Forever"). He won the best R&B song category in the 1985 Canadian Songwriting Contest. Beginning in 1994, LaBarge has performed weekly at Toronto's Orbit Room with the R&B group The Dexters (with whom he is known by the pseudonym Bernie Dexter); collectively they have backed up the 1996 Juno Hall of Fame and the 2003 Canadian Songwriters Hall of Fame ceremonies. From 1987 to 1994 he played with Danny Balaka in the Danny B. Blues Band. LaBarge has been the leader (and producer) of the funk-R&B band The Stickmen since 2002. He counts Jimi Hendrix, The Beatles, James Brown, Eric Clapton, and Jeff Beck among his influences. - Here's a guy who it seems has been around in the Canadian music scene forever. It would take me a very long time to recount his career in the short confines of this review - so I won't. Suffice to say, read it on his website instead. What I say though, is that LaBarge has played with the best Canadian musicians over the last forty years. He was even in bands with the late Brian MacLeod (Chilliwack and Headpins) and has shared the stage with Alex Lifeson (Rush). This would be the tip of the iceberg though. Despite being primarily a band participant and leader, he still found time to release music in a solo capacity. His 1981 single 'Dream Away' was a much-played song that year. 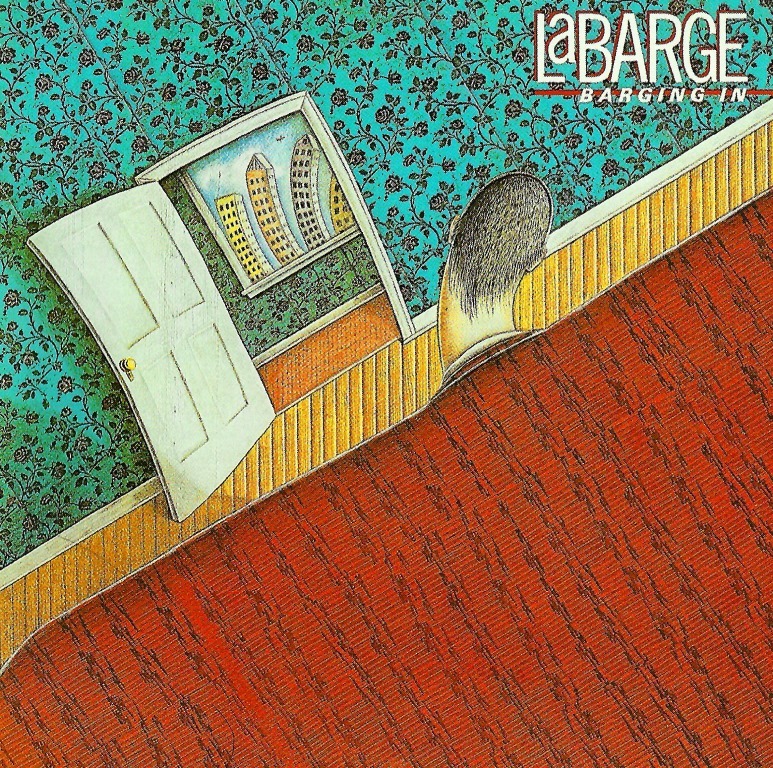 It wasn't until 1984 among all his other commitments, that LaBarge was able to release his first solo album 'Bargin' In'. On this album, Bernie is locked into the 1984 groove, and moving in the same circles as fellow Canuck Stan Meissner and the late Van Stephenson. That 1981 single 'Dream Away' is the first song out of the blocks. It's a gentle radio friendly format, mixed with a West Coast style makes for an ideal starting point. A song well known to AORsters is 'Can't Hold On Forever' - a tune covered by Canadian chanteuse Lisa Price the year before. I think I much prefer this version, where LaBarge's vocals echoes Van Stephenson like a twin. 'Stop The Game' is probably the best representation of Bernie's melodic rock intent - that aforementioned Meissner and Stephenson connection so apparent here. The upbeat rock of 'Overnight Sensation' sounds like a cast-off from Van's 'Righteous Anger' album such is the similarity. The classy ballad 'Work For Me' is a slow burner, and is slightly edgier than the other ballad here 'Annie', but for me the next track 'Still In Love With You' is the albums highlight - with a cool keyboard motif and stinging guitar work to match. 'Gun Shy' features heavy drum beats played in a robotic fashion, unlike 'Take This Part Of Me' which is a light west-coast flavored tune.. very nice. Returning to the AOR style we heard earlier on in the album is the excellent 'Bus Route 22' - Bernie letting loose on this fluid guitar-rocker. 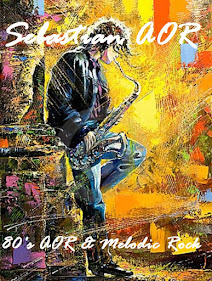 AOR is also the order of the day with 'One Less Marianne' - a pleasant mid-paced affair, the album finishing up with the good-time rock n roll of 'Take It As It Comes', amid of flurry of guitars and saxophone!